Are you craving something appley (that?s a word right?) but too lazy to make a pie? 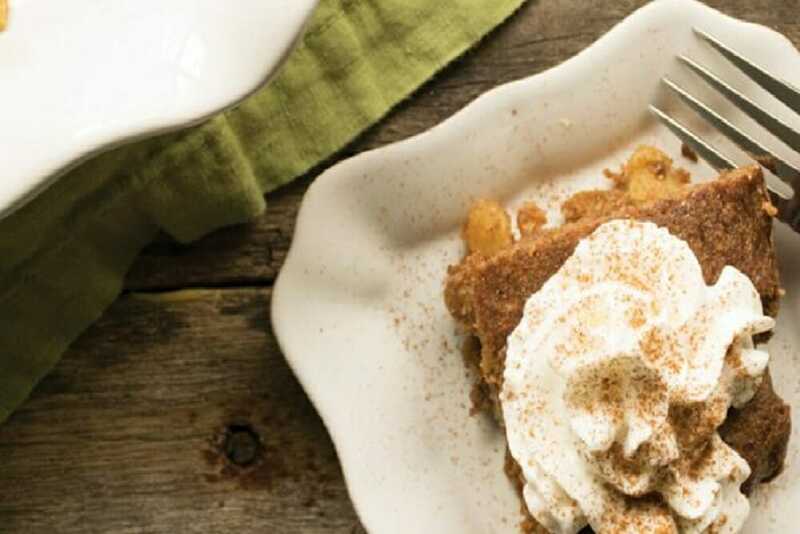 These?Apple Spice Bars are.? Yum! Preheat an oven to 325 degrees. Grease a 13×9 inch baking pan. In a medium sauce pan combine the raisins and water and cook on medium heat until most of the water has evaporated and the raisins are caramelized. In a large bowl, combine the raisins with apple sauce, apple pur?e, pear pur?e butter and eggs. Mix in the flours, baking soda and salt. Add the vanilla and apple pie spice. Pour the batter into the greased baking pan and cook at 325 degrees for about 30 minutes or until toothpick comes out clean.